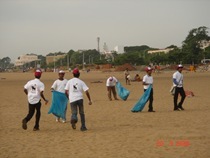 This morning Chennai Marina was giving a festive look. 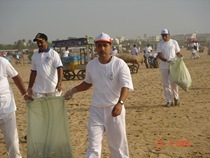 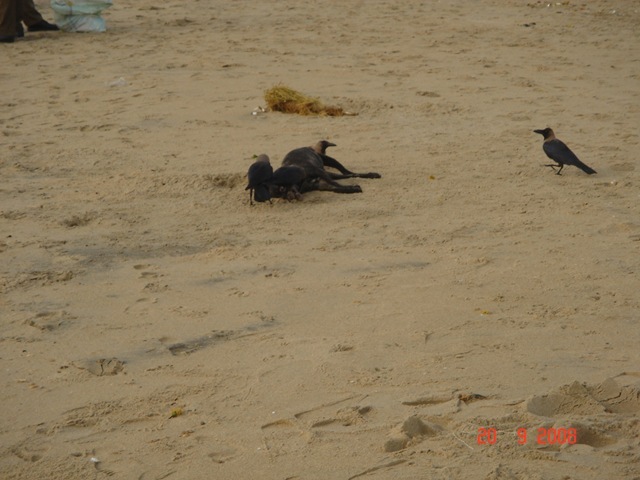 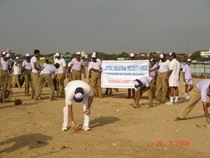 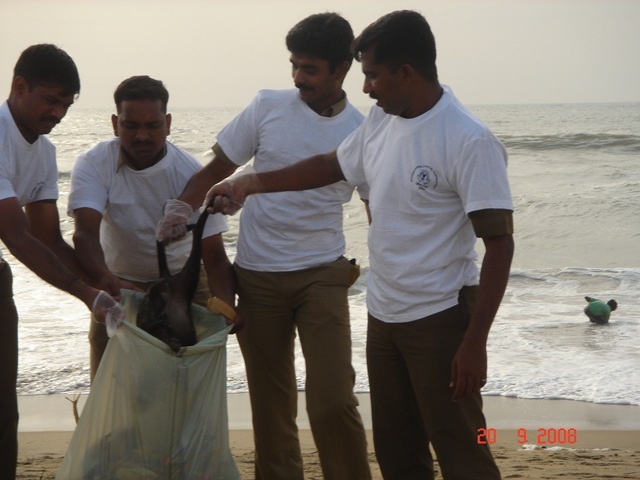 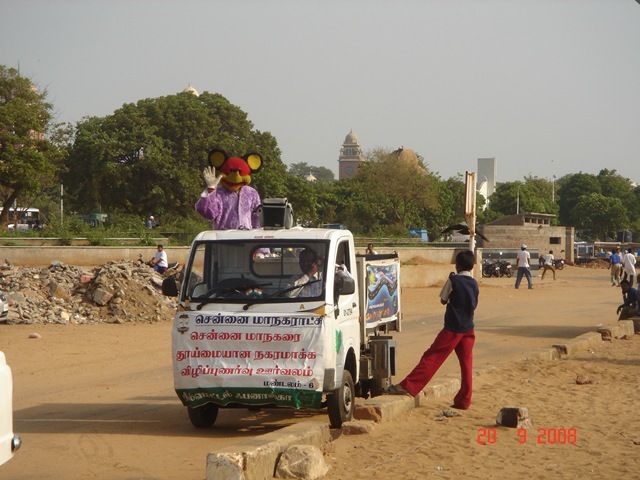 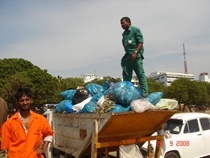 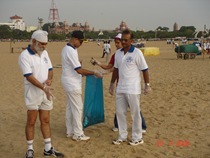 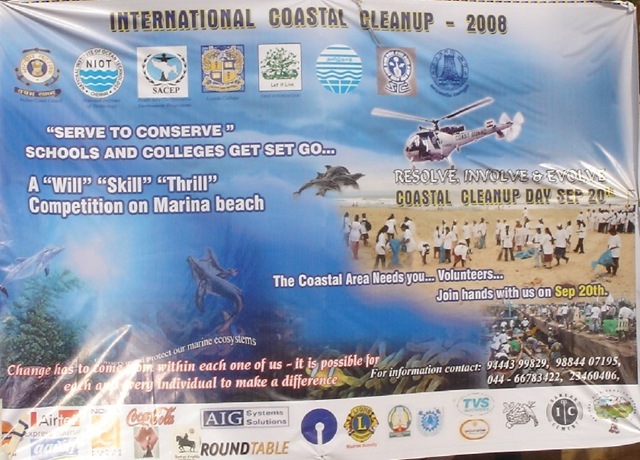 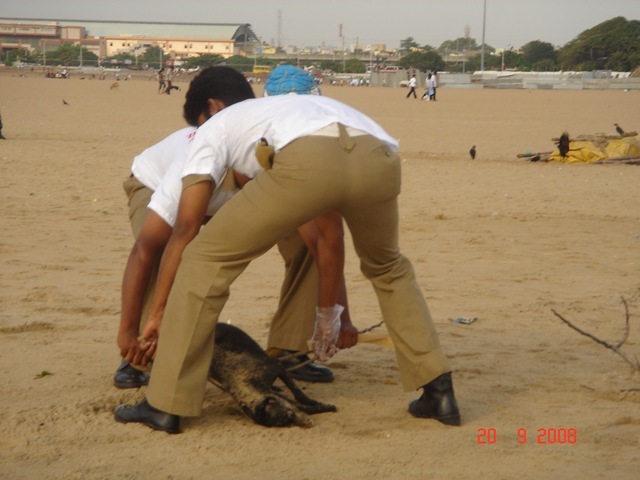 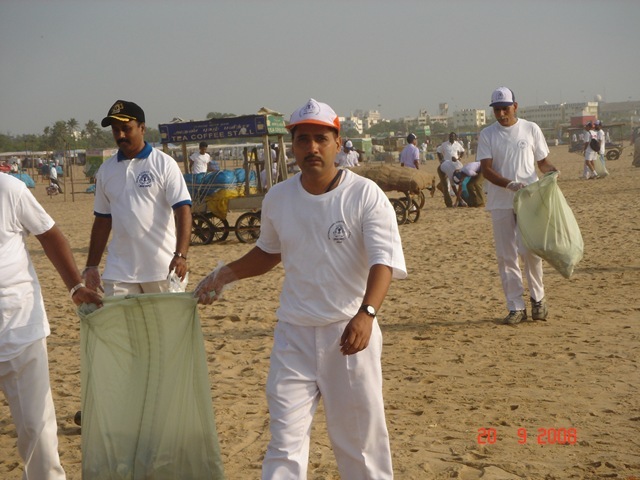 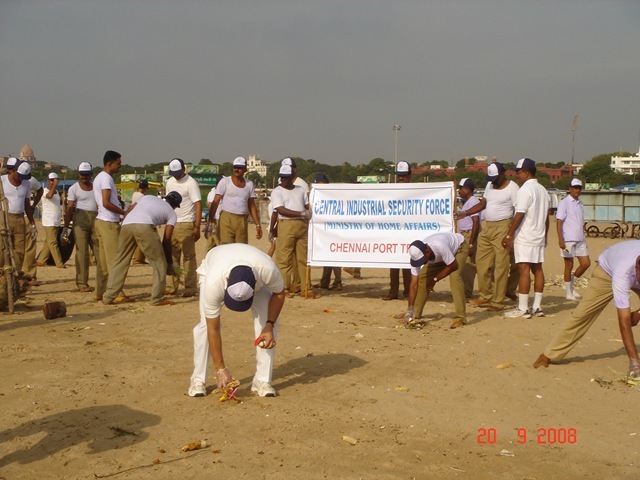 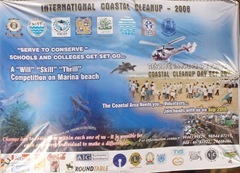 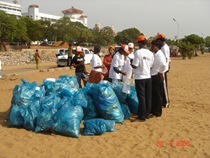 As part of International Coastal Cleanup 2008, this weekend Indian Coast Guard took the initiative to cleanup Chennai beaches. 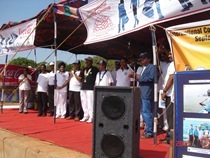 Hundreds of college students, government and private agencies participated in the event from early morning with the rising sun watching the events from Bay of Bengal. 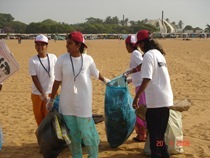 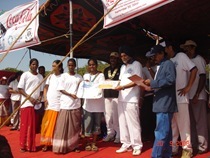 The collected trash was assessed and the best team was given prize. 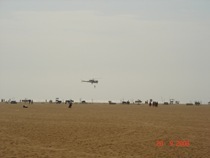 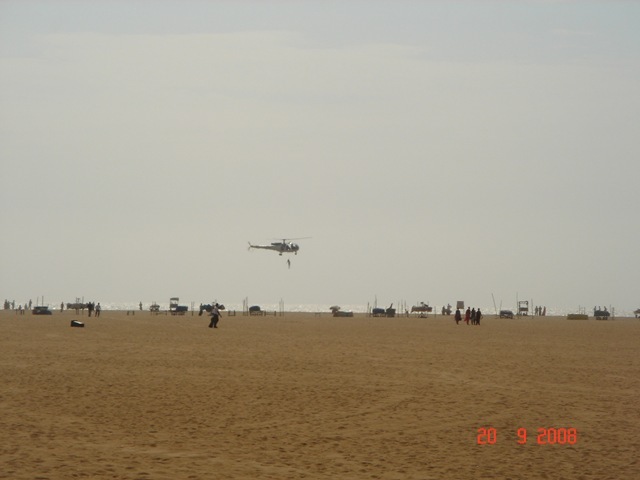 A coast guard helicopter also demonstrated Search and Rescue (SAR) on the Marina beach. 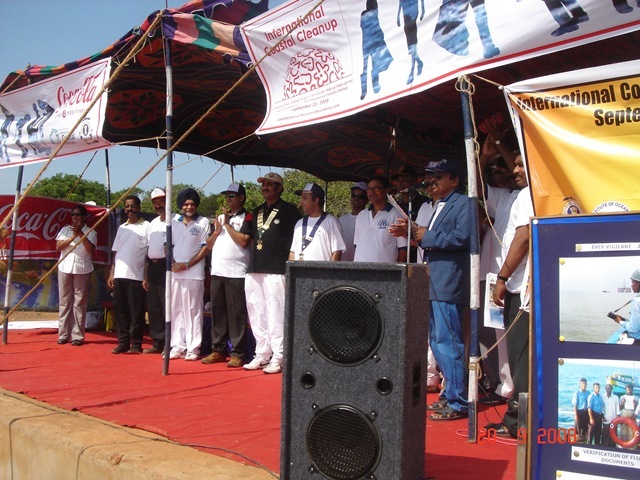 Light refreshments were provided to the participants. 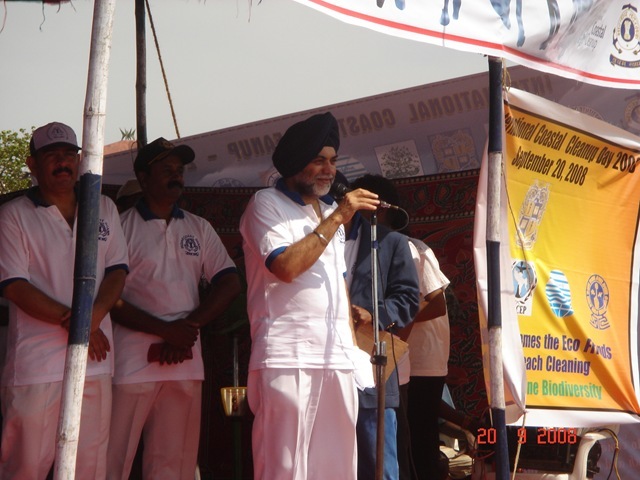 Inspector General, Surinder Pal Singh Basra, Commander, Coast Guard Region (East) thanked all the participants and the event finished around 1030 hours. 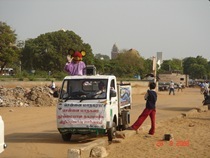 Also more photographs can be viewed at Flickr. 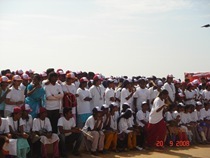 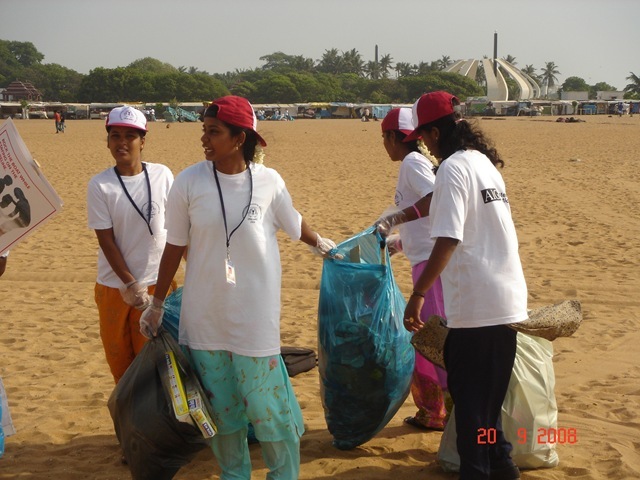 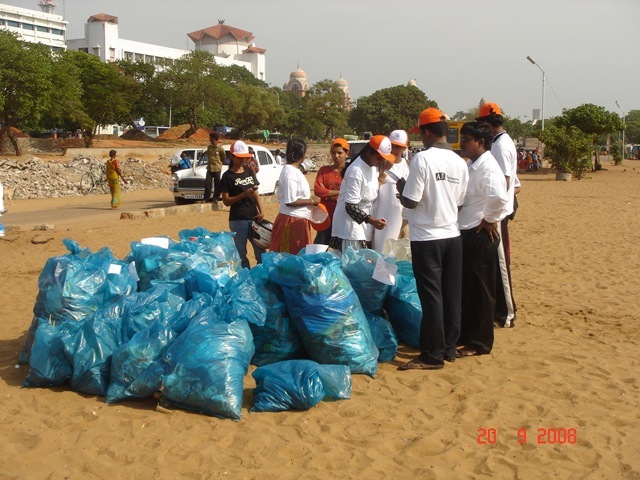 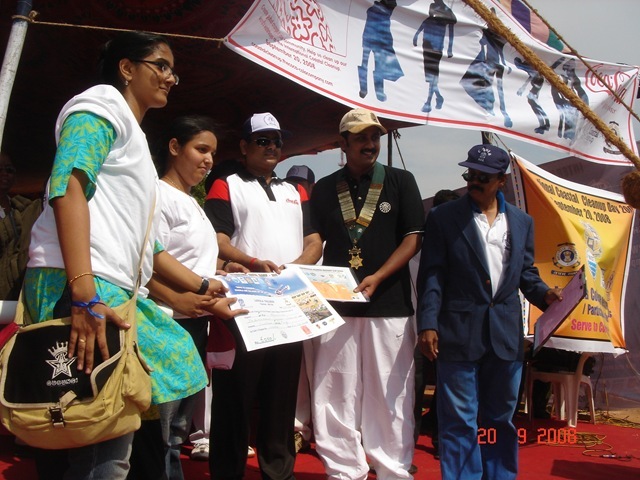 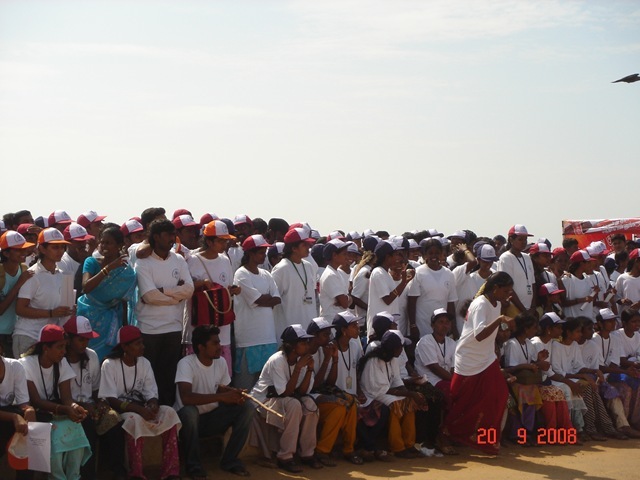 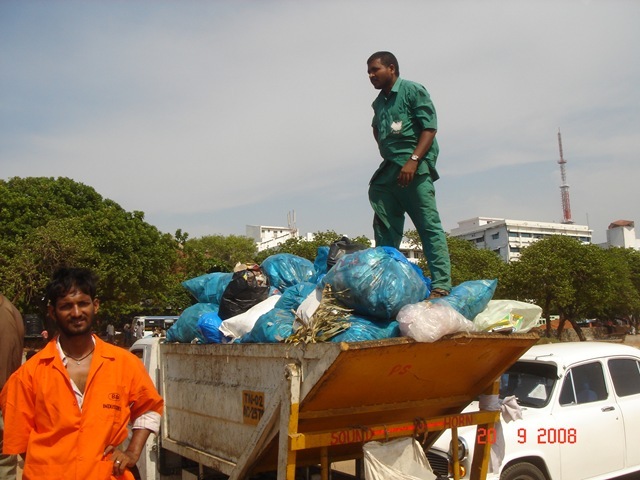 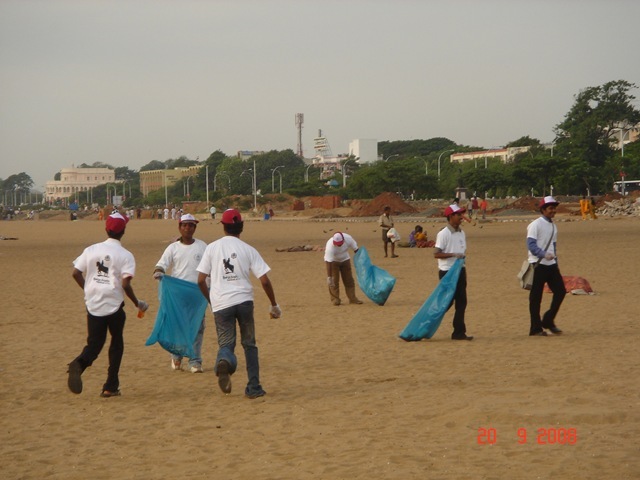 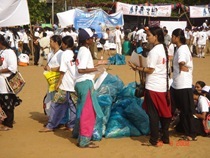 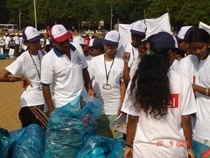 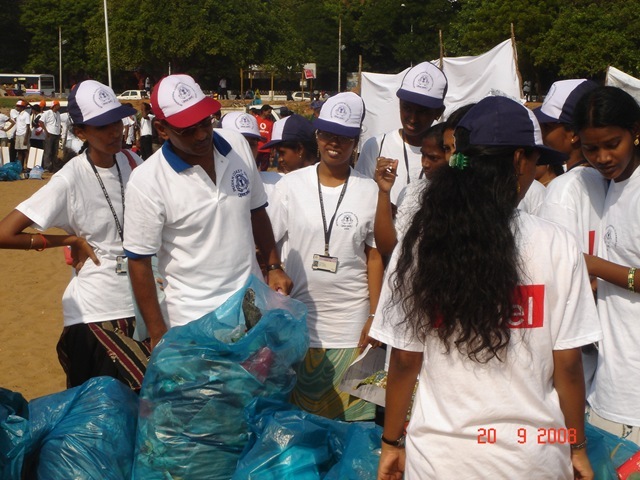 News coverage of the International Coastal Cleanup at Chennai on September 20 is available. Read The Hindu, ExpressBuzz, Radio and Music. 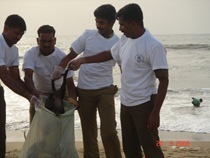 Further, cleanup operations of beaches in other parts of Tamilnadu is here at The Hindu.